You’ve come to the right place if you are looking for Custom Golf Clubs. 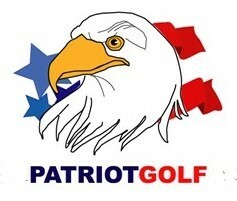 Select the components that fit your swing and buy custom golf clubs from my store. We can customize them your way or take advantage of my fitting form and consultation and with the information you provide I will customize them for you. If you want custom clubs I have a questionaire I can send you to fill out and fit you based on your answers. The questions cover the areas that usually affect how well you can swing a club. I’ve had a great deal of success fitting golfers as far away as Australia and throughout the USA. For shaft fitting and custom shaft selection please use this link:http://shaftfit.wishongolf.com/ShaftFit.asp to select the correct Wishon shaft for you. If you wish to use a shaft other than a Wishon Shaft I can provide recommendations that match the Wishon shafts based on your result from the shaft fitting software. A special quote can be calculated and an email invoice can be sent for any shaft that isn’t listed in the shop. Custom fitting and custom clubs allow you to play the best golf possible based on your age, strength, and athletic ability. Having the right designs, the right length, weight and flex adjusted to your ability allows you to be the best golfer you can be.